If you're unhappy with your childcare provider, you have the right to complain. Who you should complain to and the steps you should take will depend on the severity of your concern. In the majority of cases, a minor complaint can be resolved easily and informally by discussing the matter with the appropriate member of staff - always do this first. For more serious complaints, or if the informal approach doesn't resolve your issue, the nursery will have a complaints procedure in place for you to follow. If you're worried about the safety of your child, you should contact your local council or local police immediately. You can contact your local police station by calling 101. If your complaint isn’t resolved informally, you can follow the formal complaints procedure that the nursery has in place. This procedure will differ from one provider to another, so it’s a good idea to check the specific steps advised by your nursery before you begin the process. You should make your formal complaint in writing, which will then be kept on record by the nursery. It’s sensible to also keep a copy of your dated and signed written complaint for your own reference. You can use our template letter to help you complain to your child's nursery. 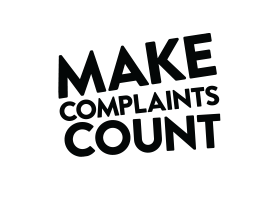 Making a formal complaint can also be known as escalating your complaint. An escalated complaint may involve an external mediator, though this isn’t always the case. If necessary, a mediator would be invited to assist if the early stages of the complaints procedure have not resolved the situation. This would only happen if you felt your complaint had not been adequately dealt with after being addressed by the nursery manager or owner. If you complete the formal complaints process and the issue still hasn’t been resolved, you should contact the regulator, Ofsted - if you haven’t already. You can contact Ofsted at any point while making an official complaint, though you may find they don't become involved until the individual provider’s complaints procedure has been exhausted. All nurseries are required by the Early Years Foundation Stage (EYFS) to have a complaints procedure in place and to make parents aware of its existence. You should be able to find details of the protocols in the written material you received when you registered your child at the nursery, for example in your contract or welcome documents. You can contact Ofsted for assistance in resolving a complaint or to make them aware of a complaint that you have raised. They are unlikely to become involved unless the nursery’s complaints procedure has been followed and fully exhausted. Ofsted cannot deal with complaints relating to contractual issues, for example any complaints relating to fees. You can use our template letter to complaint to Ofsted. Or you can contact Ofsted through its online contact form. For assistance with contract or fee issues, you can also contact Citizens Advice Bureau online or by phone on 03454 04 05 06.